Love it? Hate it? Crave it? Avoid it? If you live in the US, at least one of those probably describes your relationship with bread. Maybe all of them! The explosion of people who are trying to limit their gluten intake has made everyone who thinks about eating at least reconsider their relationship with bread at some point. 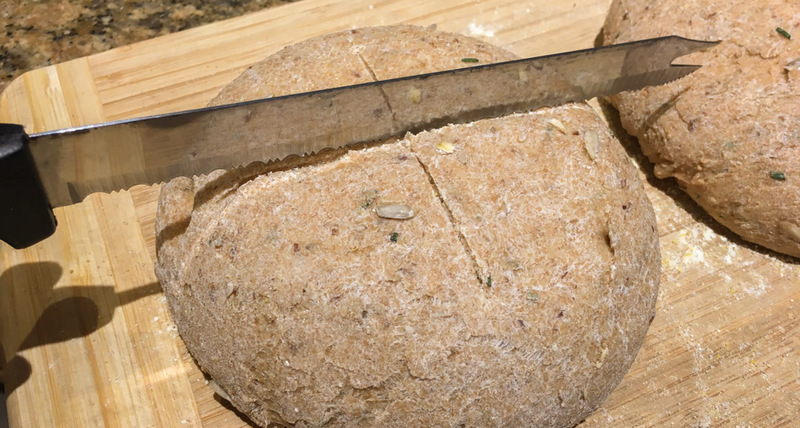 If you do still eat bread, this seedy, honey whole grain rosemary bread is amazing. I made this recipe up a decade ago, and just pulled it out again after not making any bread for six year. Try it – it is awesome. When I lived in Japan in my early twenties, people would always ask me if we ate bread with every meal in the America. At first, I was confused why so many people thought that, but then I realized that in Japan rice is served with every meal. In fact, the word “rice” is also their word for meal. 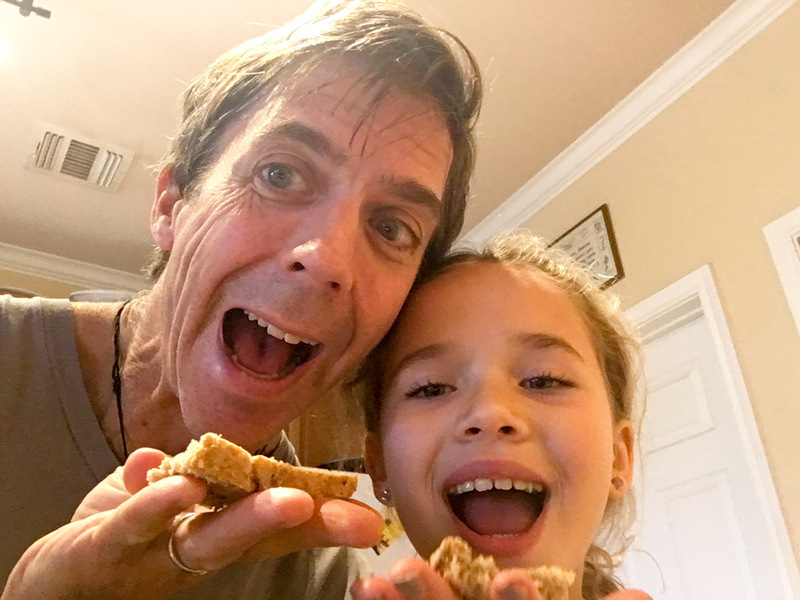 So their word for breakfast is literally “morning rice.” Still, bread is a huge staple of the western diet, and homemade bread is so much better than any bread you can buy in a store. I came up with this recipe a decade ago when friends gifted usa bread machine that they had never used. I had never made bread before, but I had made tons of pizza dough, which is basically the same thing.My stepdad used to make bread in a bread machine, but I never liked itsoI decided to see if I could use the machine just for the mixing, kneading and rising. I searched online for a recipe, but didn’t find anything that sounded like what I wanted so I improvised from several recipes. This is what I came up with. It is a moist, hearty bread with a delicate crust, and it is completely different from super crusty breads like the amazing Tartine bread of the famous Tartine Bakery in San Francisco. Last year I tried making that after having some at a friend’s house in Marin county. That is an awesome bread, made from a starter generated from local air borne yeast. Next time I make this bread, I may try to make my own starter as well and see how that goes. Fresh ground whole wheat flour from organic red wheat berries. You don’t need to do this, but it will make your bread a lot better. Grains contain oils that degrade after they are exposed to air. So as soon as flour is ground it starts losing some of the essential nutrientsthat also make it taste better. 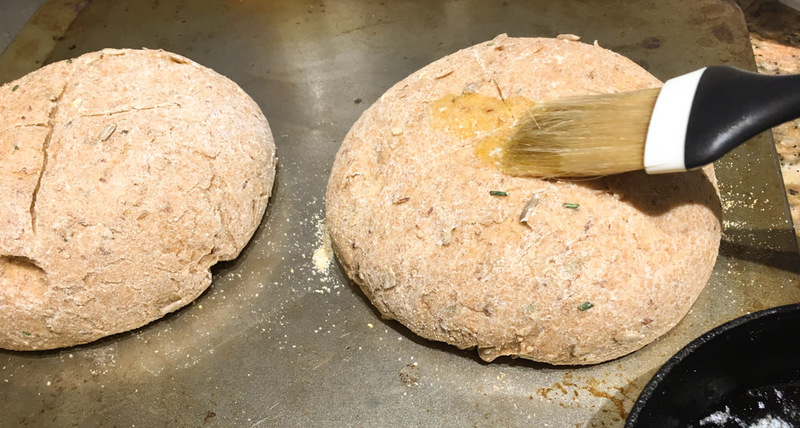 When I came up with this recipe, I was trying to make something like the bread from Great Harvest Bread Company, a Montana basedbread chain that has a store in Austin. Great Harvest grinds their flour fresh every day, and their bread is awesome. I didn’t have a way to grind flour back then, but the recipe worked pretty well anyway with store bought flour.Having gotten a Vitamixas a wedding gift this spring, I was super excited tomake my own flour and bread. 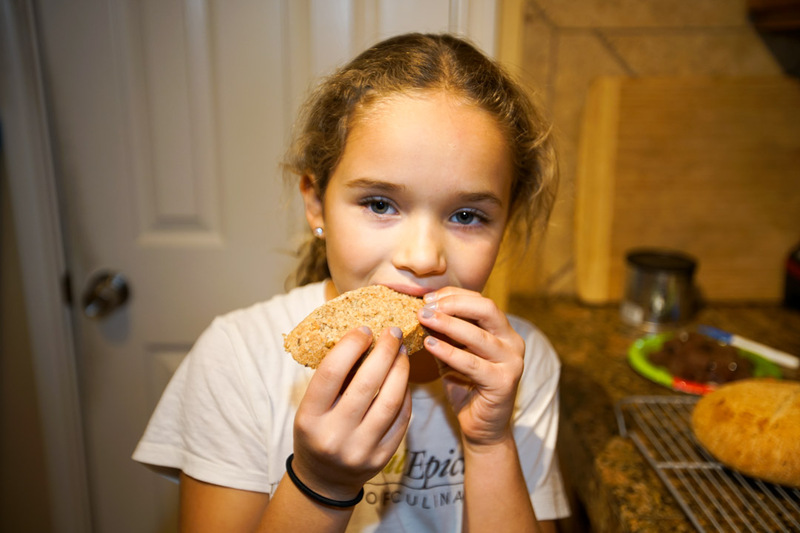 And… our daughter, Isabel (aka Curly Girl) LOVES bread. She was excited to try it too. 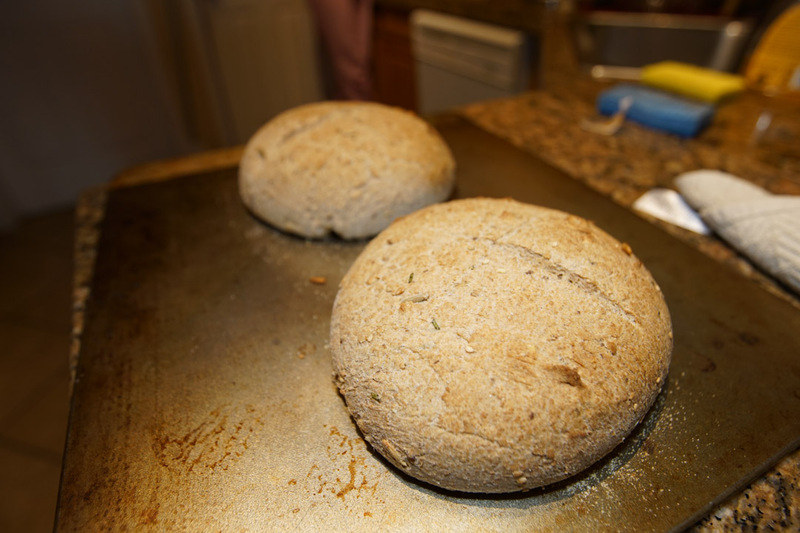 * In my original recipe I used 3/4 cup bread flour & 2-2/3 cups whole wheat flour. Now I use different mixes of flour. Lately I’ve been using 100% home ground flour from wheat berries. 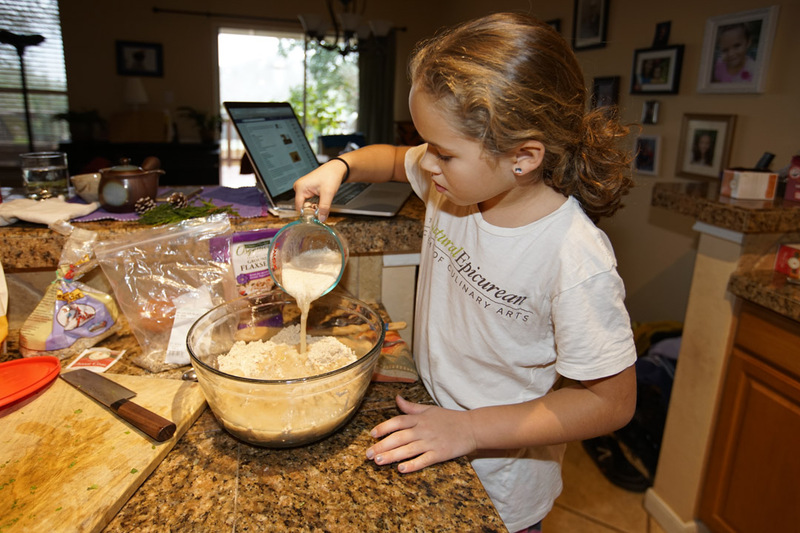 Bread flour is supposed to have more gluten, but often there is no difference. When I buy flour I prefer Jovial brand einkorn organic flour, because it is an original non-hybridized wheat. Mix the dry ingredients together first. After they are well mixed, add the oil and mix it in well so that there are no big clumps remaining. Yeast The little critters that make it happen. 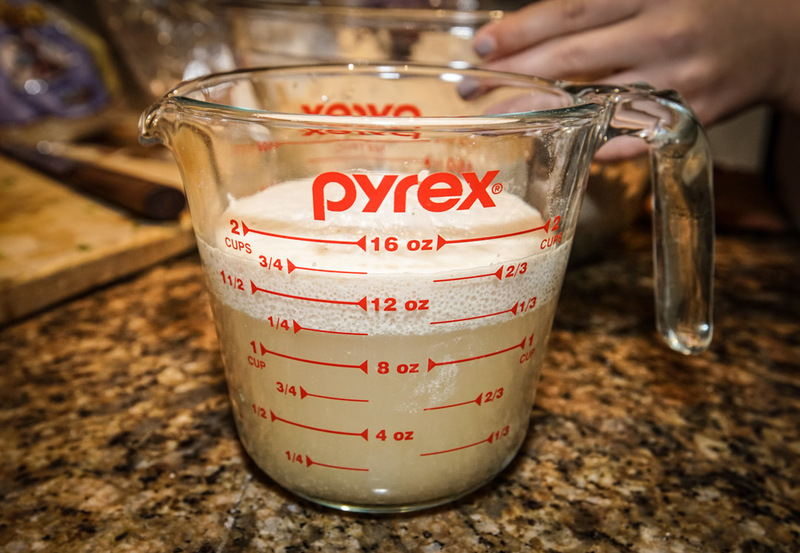 Almost all bread recipes I’ve seen call for mixing the yeast in with the dry ingredients. When I learned to make pizza dough from a French chef, he taught me to activate the yeast first before mixing it with the flour. So that’s what I did with this bread, and it worked great. First, mix the warm water and honey until the honey is melted. The water should be between 100˚ and 110˚. If the water is too hot, it will kill the yeast. Add yeast and mix well. You will know the yeast is ready when it has a thick layer of foam on top. If it doesn’t get that layer, it is too old or your water was too hot or too cold. Knead! Isabel was so excited to knead the bread! The dough in this recipe is not soft. It’s a bit of a workout to knead, but it is so worth it in the end. You may think that the bread is going to be tough when you are doing this, but this bread is moist and delicious when it is finished. After you add the yeast, water and honey mixture, stir all the ingredients together with a wooden spoon until the dough pulls away from the sides and starts to form a ball.You may have to adjust the amount of flour or water slightly. This time I ended up adding a tiny bit more water after I hadstarted kneading, because it seemed just a bit too stiff. Knead the bread for 10 minutes. After you’re done kneading, flour the bottom of the bowl, put the dough back in, cover with a damp towel and set in a warm place about 45 minutes for the first rise.You can still do this in a bread maker like I used to. It’s easy. Just let the bread maker do the mix and the first rise. Crash the party I always think of dough rising as a big party. Those little yeast are probably eating for the first time in months, and they’re eating honey.If yeast can be happy, these are happy yeast. Sadly, when the dough has risen you have to crash their little party. Punch down the dough, split it in half and form it into two rounds on a floured surface. Cover again and let rise for another 45 minutes. When the dough is almost done rising, preheat the oven to 375 degrees. Izzie splitting the dough with a dough knife. After the dough has risen a second time, make shallow cuts along the top and brush the top with butter. The buttergives the bread a nice glazed crust (and a little added tastiness). Bake for about 25-30 minutes on a middle rack (depends on the size of your loaves). I like to eat break into this bread right after it comes out of the oven. I know that a lot of bread recipes say that you must let it sit for some time, but this breadis so good hot! Slice some up and have it with some good butter like Irish Gold (a super tasty butter available at Costco). We grated some parmesan over the melted butter just before putting it in the oven.